Dogs and even cats get arthritis, just like people. Intermittent limping, reluctance to exercise or jump, stiffness upon rising, limping made worse by colder weather, and even licking painful joints can be signs of arthritis in your pet. Most often it’s an age-related issue, however joint conformation as seen in hip or elbow dysplasia or a torn anterior cruciate ligament, infection and immune mediated diseases can all hasten the onset or worsening of arthritis. While no amount of ingested nutrients can correct structural damage to joints, adding supplements, medications and therapy can offset the resultant discomfort and even debilitation caused by the onset of arthritis. Glucosamine is a naturally occurring component that is manufactured in the joint cartilage, and is one of the major components utilized in the formation of lubricants critical to maintenance and restoration of healthy joints. Glucosamine as a supplement is derived from crab, lobster and shrimp shells and is thought to be effectively absorbed and utilized by joints after ingestion. 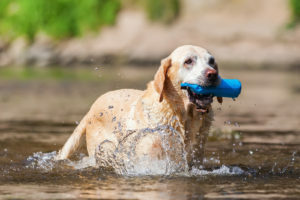 Because Chondroitin production in the body decreases with age, supplementation with Chondroitin Sulfate can be especially helpful in older dogs with arthritis. In fact, this may help the body repair damaged cartilage and connective tissue while helping to improve joint functionality. In addition to these benefits, there are studies that show that Chondroitin Sulfate can reduce joint pain, while others suggest that combining Chondroitin Sulfate with Glucosamine improves their mutual benefits. Omega Fatty Acids, Vitamin E, Selenium, and MSM are other natural supplements that can help to decrease inflammation while improving the body’s ability to repair and strengthen tissues. Anti-inflammatory drugs available by prescription can effectively relieve inflammation and pain associated with arthritis. Non-steroidal anti-inflammatory drugs (NSAID) specific to pets are effective and produce few side effects. These can be given long term with regular blood panel screenings. 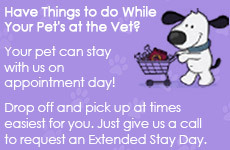 Veterinary-recommended analgesics and pain killers are another option that can be used in addition to NSAID’s. In advanced cases, surgery, and even stem cell treatment may be an option. 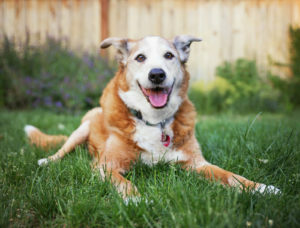 Fortunately, there are simple measures that you can take to help relieve the aches and pains resulting from the onset of arthritis in dogs. 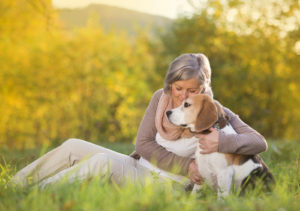 Regular wellness exams allow your vet to track your pet’s arthritis progression while providing beneficial modifications to the treatment regimen. Carrying too much weight is not only unhealthy in general, but can also lead to hastening or worsening of arthritis by increasing joint load. Studies have shown that dogs who maintain an ideal body weight experience an increased quality of life. Along with proper diet, adopt a routine of controlled exercise, like swimming, and walks on soft surfaces, like sand or grass. Arthritic dogs need to be kept warm and dry, since cold and damp conditions only serve to aggravate arthritis. Invest in a dog bed with orthopedic support and keep blankets handy. Schedule regular appointments with an Animal Massage Therapist for treatments that can ease pain while increasing flexibility and enhancing circulation. Learn some techniques to practice at home in between sessions to keep the good feeling flowing! Glucosamine and Chondroitin Supplements help improve mobility and support functioning joints. Nonsteroidal Anti-Inflammatory Drugs and Painkillers can help relieve pain. Disease-Modifying Osteoarthritis Drugs can also play an important role. 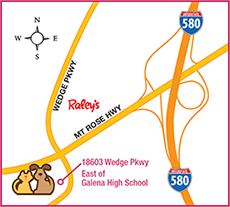 Determine the best course of treatment with your vet and diligently follow the plan. Make adjustments to your home that allow for easier – and safer – movement. Secure rugs to establish a non-slip floor surface where carpeting isn’t an option. Install ramps where steps might impede movement, such as porch access. And invest in a portable ramp for car access. Your dog may be moving more slowly, but it’s still young at heart, with a desire to continue activities that have been a lifelong joy. 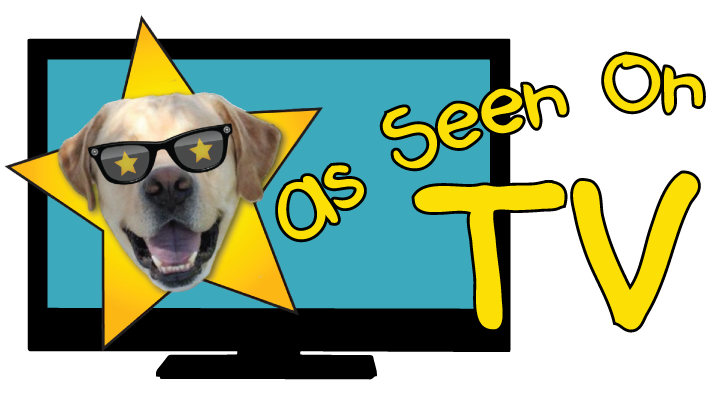 Take a little more time and appreciate the happy diversion that your pet is experiencing. It will be time well-spent! 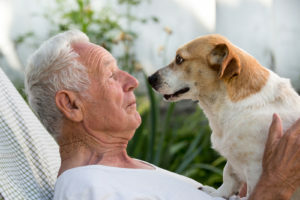 Mix Special Care with a Big Dose of Love as Arthritis Sets In, and Your Pet Will Breathe a Grateful Sigh of Relief.